For over 25 years the University of California has been deeply involved in conducting research and outreach focused on conserving California’s native oaks. Beginning in 1986 UC was a key player in the establishment of the Integrated Hardwood Range Management Program (IHRMP), a statewide Program whose stated goal was to maintain, and where possible, increase acreage of California's hardwood range resources to provide wildlife habitat, recreational opportunities, wood and livestock products, high quality water supply, and aesthetic value.Two other state agencies -- the California Department of Fish and Game and Cal Fire -- were also official collaborators on this Program. The IHRMP officially ended in 2009, but the University of California Oak Woodland Conservation Workgroup (OWCW) continues to address the basic mission of oak conservation within the UC system. Workgroups are designed to foster collaboration on specific issues across the continuum of academics within UC. They bring together campus-based faculty, specialists and county advisors so that research needs can be identified and research-based information can quickly be delivered to local clientele. On the left navigation bar are a number of oak-related subject areas that the University is continuing to address. Click on the subject of interest to view brief descriptions of research and educational activities taking place, and links to related materials and web sites. 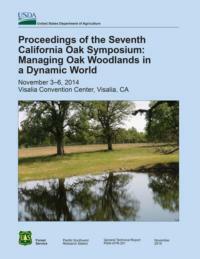 Download individual papers, or the full volume, of the 7th Oak Symposium. These proceedings have 56 papers in a broad array of subject areas, including: wildlife and oaks; oak ecosystem services; oak restoration; oak conservation, management and utilization; and the gold-spotted oak borer and sudden oak death. County-based planning is often an emotionally charged, financially motivated process where decisions can potentially affect natural resources for generations. As Californians move from urban and suburban centers into lands that have historically been hardwood forests, the expansion is impacting the biodiversity and ecological integrity of the state's oak woodlands. The shifting demographics are increasing the need for sound decision making if the ecological integrity of oak woodlands is to be maintained. The UC Integrated Hardwood and Range Management Program (IHRMP) has directed its efforts at planners for the past 15 years in recognition of the importance this dedicated group of professionals have in conserving California's wild spaces. California's oak woodlands are not subject to statewide regulatory oversight as are commercial conifer forests. Consequently, oak conservation measures are often handled by county and private planners on a fragmented, parcel-by-parcel basis. In 2004, the state passed legislation requiring all non-agricultural projects affecting oak woodlands be subject to evaluation under the California Environmental Quality Act (CEQA). Terms of the legislation required that planners must determine the project's “significance” and the impacts must be mitigated. At the time of the enactment, no existing documentation or precedent had been established to assist counties in making such determinations. The IHRMP undertook the task of articulating the complex issue of “significance” and developed a decision matrix designed to assist planners, developers and conservationists address the nuances of the new statute. All webinar segments were taped for the Oak Webinar Series hosted by UCCE Forest Specialists and Advisors in collaboration with University of California Agriculture and Natural Resources Division. 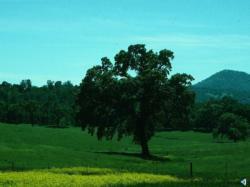 Click below for an overview of the Oak Woodlands in California.